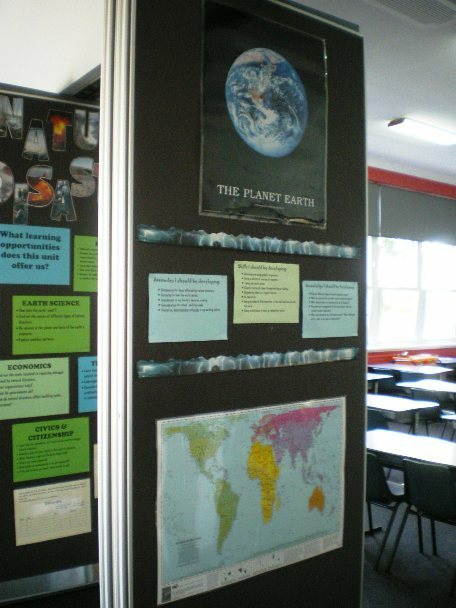 We can develop an understanding of the diversity of natural features in our world and the complex nature of its systems. Through gaining a sense of the environment we can appreciate its necessity to our present and future well-being. 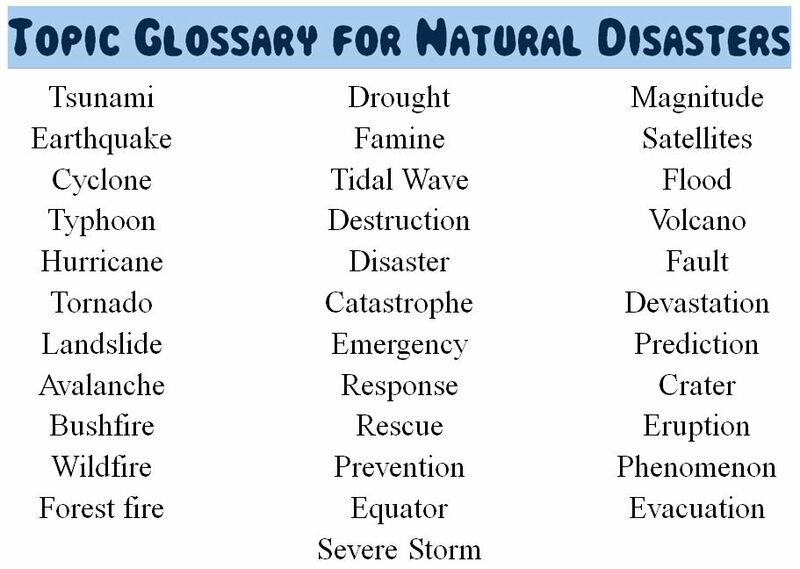 What types of natural disasters occur in the world? 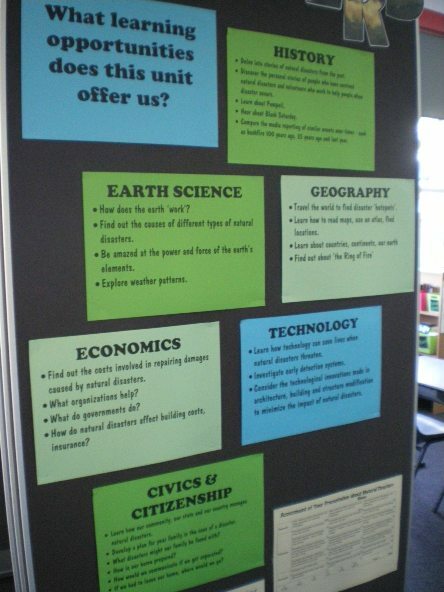 Of these, which affect Australia? 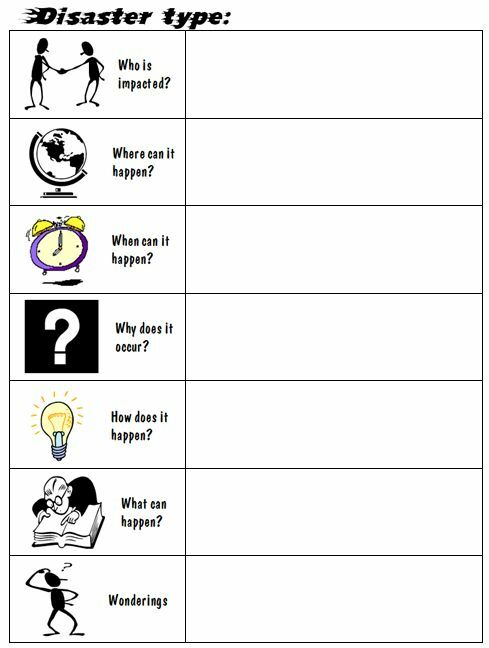 Where and when, how and why do various types of natural disasters occur? at a family and personal level? 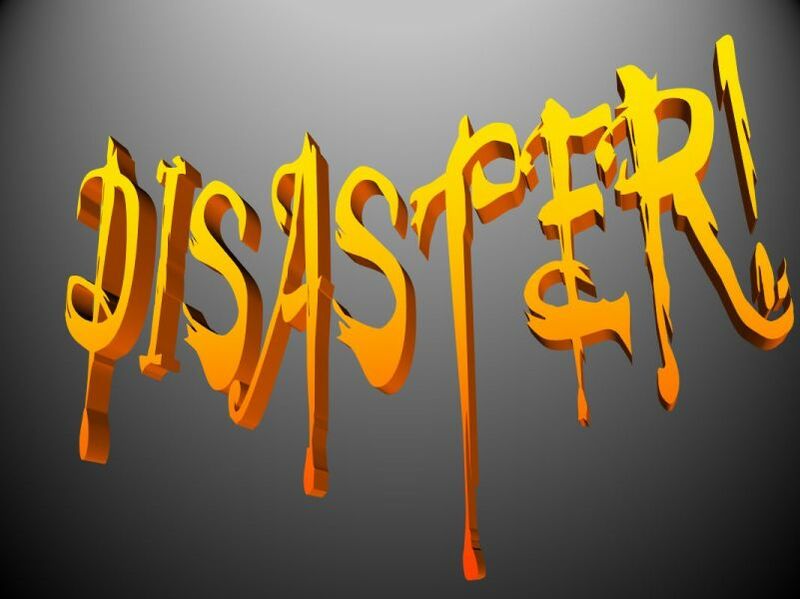 How does our management of the environment take natural disasters into account? 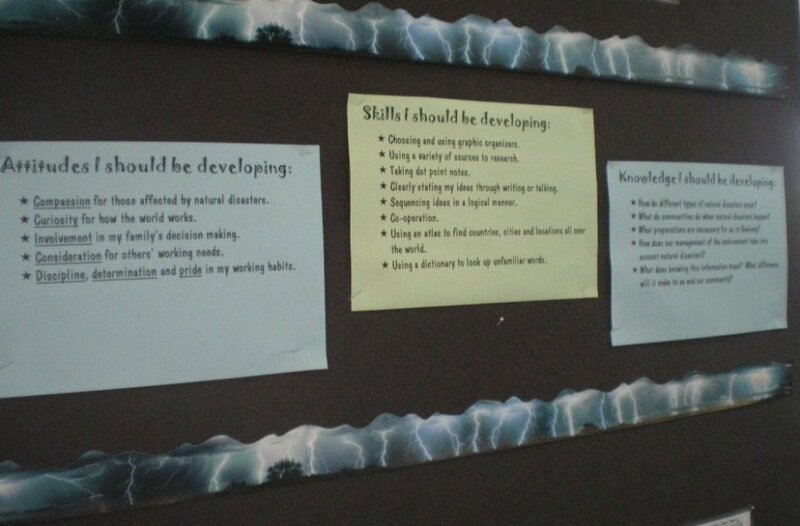 Disaster Skills Knowledge and Attitudes this unit should develop. 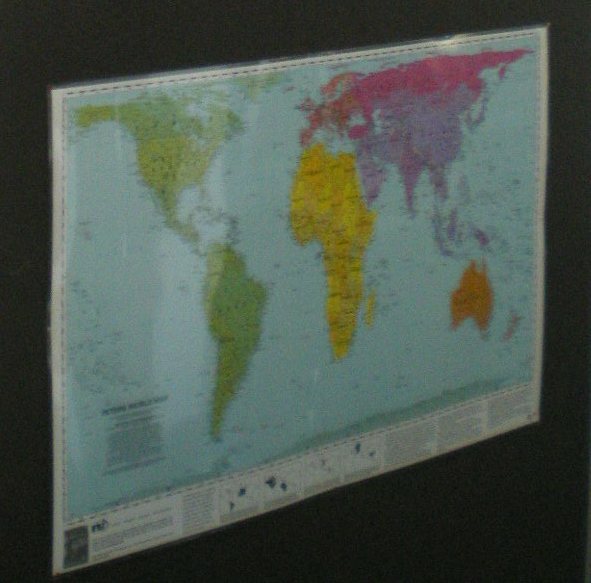 We use the Peters map as often as possible to give a better picture of the different countries sizes in comparison to each other. 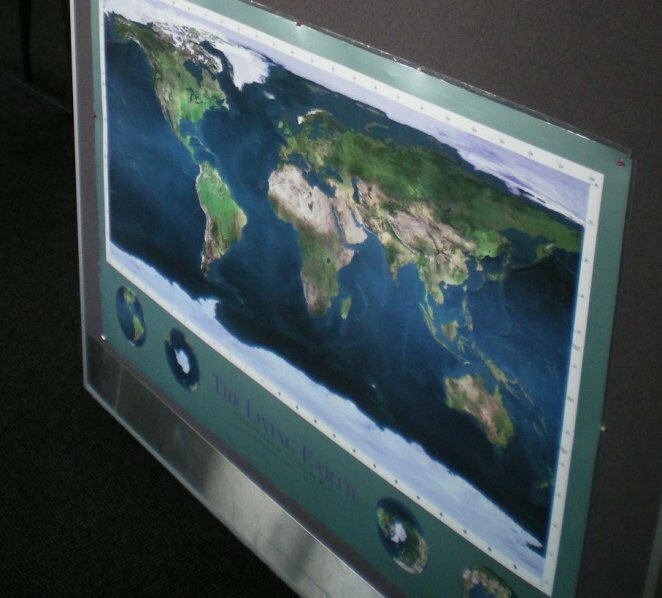 We also use a satellite map, This is a great unit for world geography. 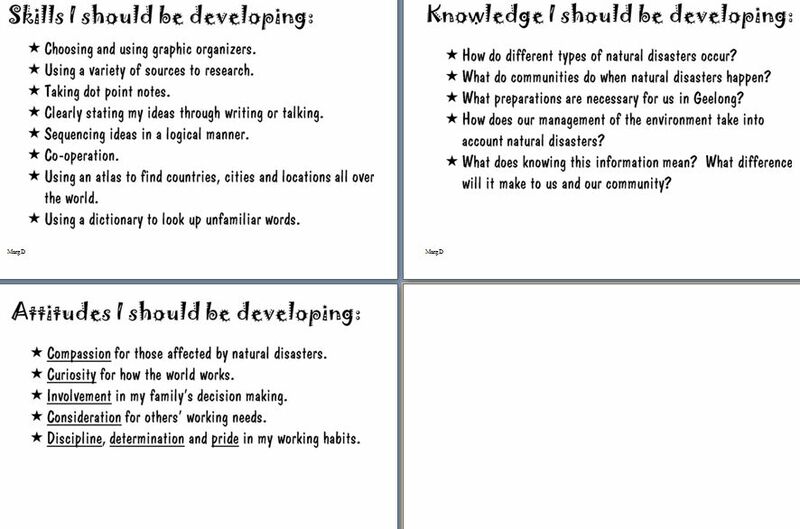 Tuning into Disasters (powerpoint ) to get kids thinking and talking about our upcoming unit. 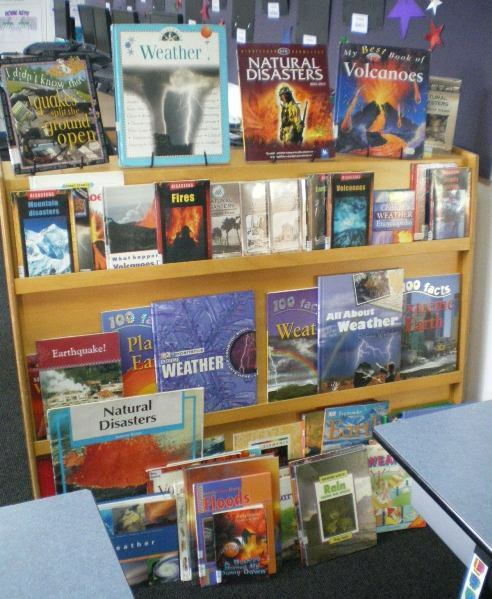 Resources raided from the library! 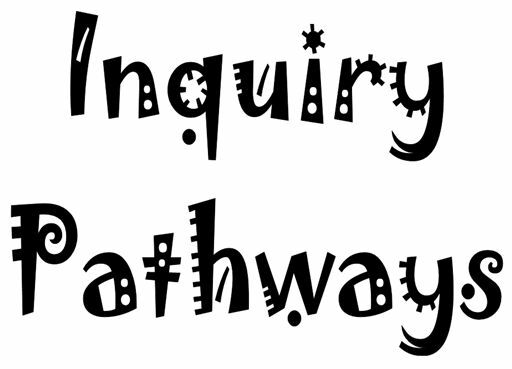 Inquiry Pathways (word doc) outlining some of the options kids could take with this unit using their learning strengths. 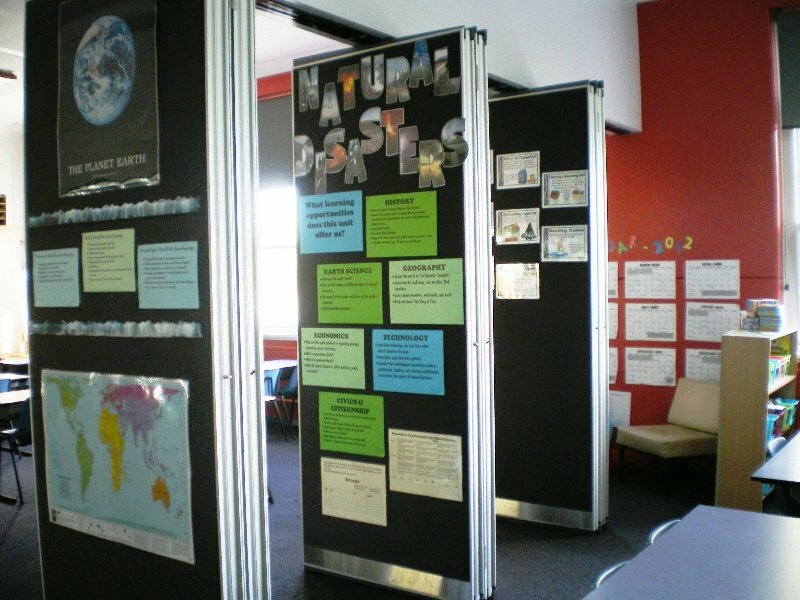 It also contains keys to good research, presentation options and how to do a bibliography. 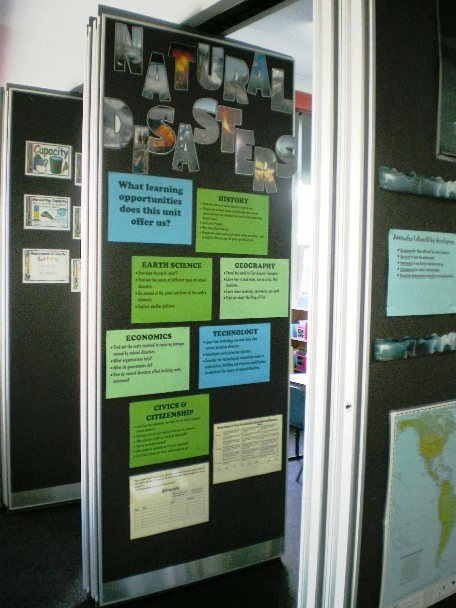 Disaster Facts (word doc) Students worked in groups and focussed on one type of disaster to answer the questions here. Then we shared with the wider group. 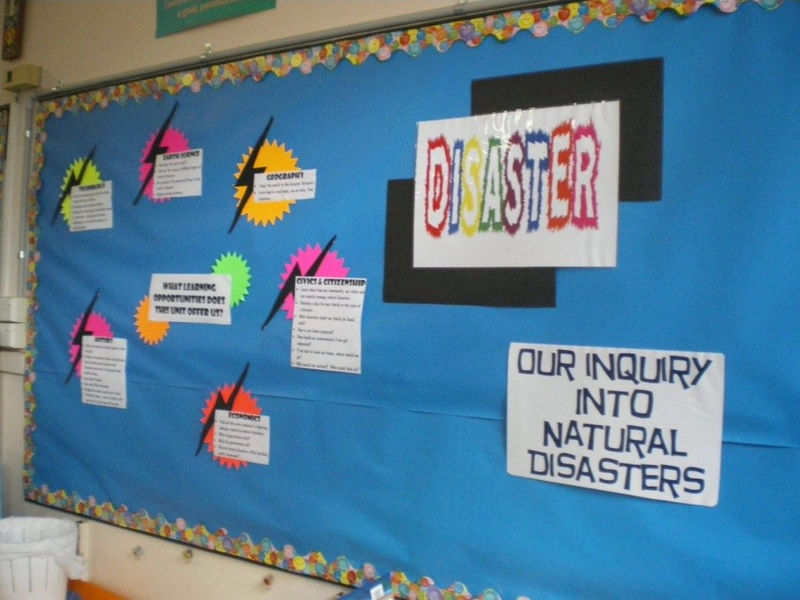 This activity focussed on collecting basic information about natural disasters. 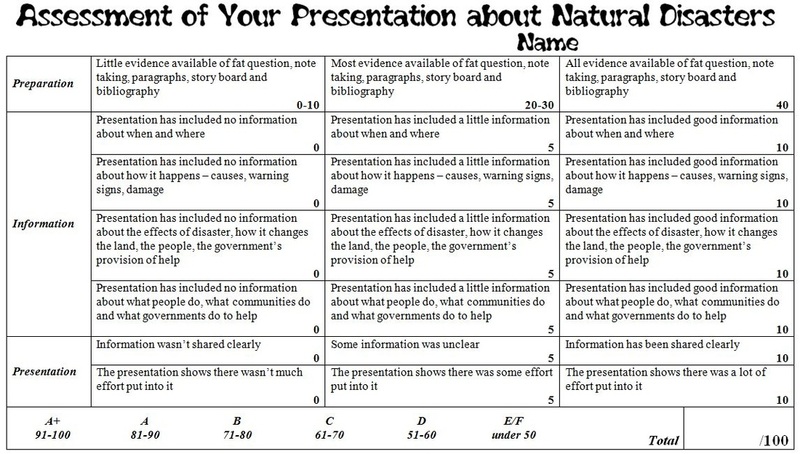 Human Response to Natural Disasters (word doc) Students worked in groups and focussed on one type of disaster to answer the questions here. Then we shared with the wider group. 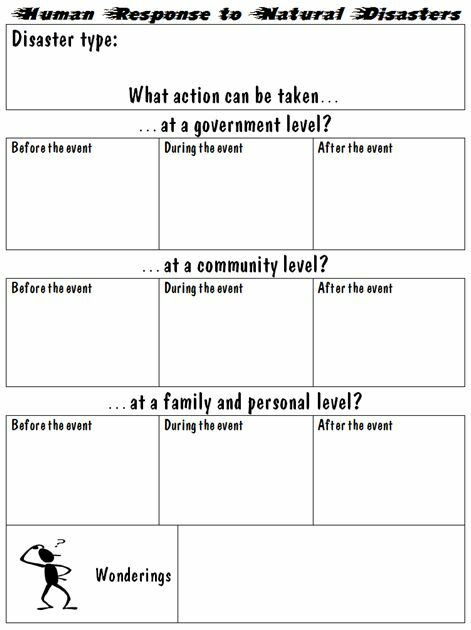 This activity focussed on the human response to natural disasters at a personal/family level, a community level and a government level.